We have nearly 100 bolts of Batik fabric in a variety of colors and we’re getting more in all the time. Come in and check out our large variety and see what fantastic bright fabrics we have in stock. 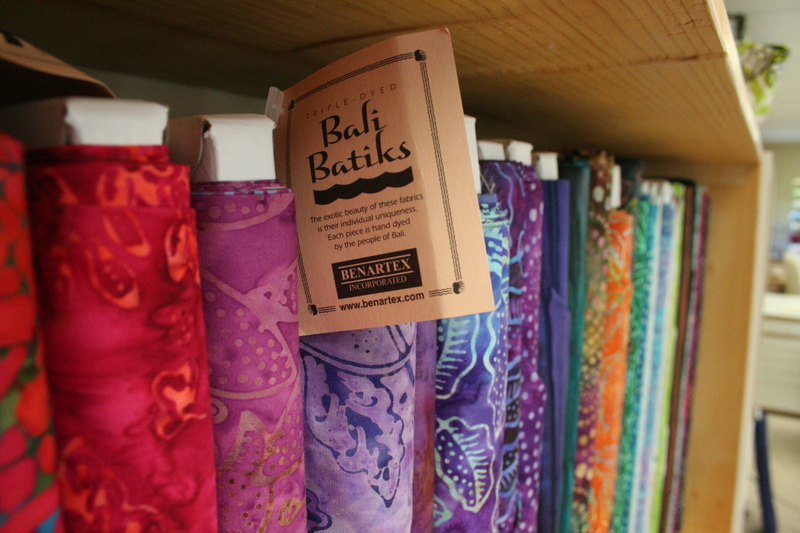 Our goal is to have a large and affordable selection of Batik fabrics for your to choose from. We want to keep our prices reasonable so you can keep quilting. Check out our new shipment of Batiks. We just got 40 new bolts in! So far they still cost $8 per yard. Batiks are a special type of fabric characterized by bright, vibrant colors and detailed patterns. One bolt of fabric might go through a dozen dye treatments. Because of regulations, these fabrics can’t be produced in the United States, so they have to be imported. This raises the costs, but we strive to keep our batik’s affordable.